WBGO premiered the new album by saxophonist Teodross Avery. In the beginning there was John Coltrane. 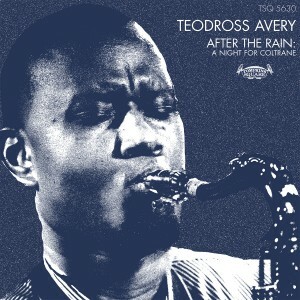 Teodross Avery experienced an epiphany at 13 when he first heard Trane’s “Giant Steps.” He emerged in the mid-1990s with two critically hailed releases for GRP/Impulse! Avery’s long and productive journey has taken him down many musical paths, from gigs with jazz legends and hip hop stars to sessions with NEA Jazz Masters and platinum pop albums. With his Tompkins Square label debut After The Rain: A Night for Coltrane, Avery has found his way back home, reasserting himself as a supremely eloquent exponent of the post-Trane jazz continuum. With Liner Notes by Ben Ratliff.